Blessings will only prevail if live according to God’s word and not by the world. 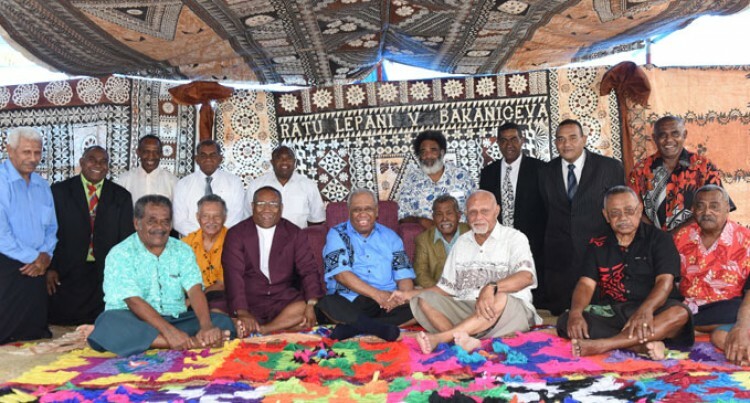 This was the message relayed by newly installed chief of Kuku and the Yavusa Naigolaba, Ratu Lepani Bakaniceva yesterday. He was installed as the overall chief of the Vanua of Kuku and the Yavusa Nailagolaba in Vunimono village in Nausori yesterday. The villages that make up the Vanua of Kuku are Vunimono, Naduru, Molituva, Vusuya and Namono. Namono Village originate from Vunimono as they are the chief makers to the Tui Kuku while Vusuya village are off- shoots from Ucunivanua in Verata. Ratu Lepani Bakaniceva is the descended from the Turaga Na Tui Kuku Roko Laqelaqevula who originally settled with his people at the original adobe of Kuku down at Naduru, Kuku. “Today marks a very auspicious occasion for our village and I hope that we will work together in taking our village to another new level of development. “For all of you present here today , thank you so much for coming and witnessing this glorious day , I met not have much to show all of you my appreciation but it is my prayers that God will richly bless each and of you here today,” he said. Ratu Lepani also emphasised the importance of maintaining and preserving their spiritual relationship with God. “You don’t need to attend church every Sunday to show people that your relationship with God is on the right track but it should be a personal relationship with God. “Today is a sign that God’s time has finally prevailed because his time is always the best,” he said.